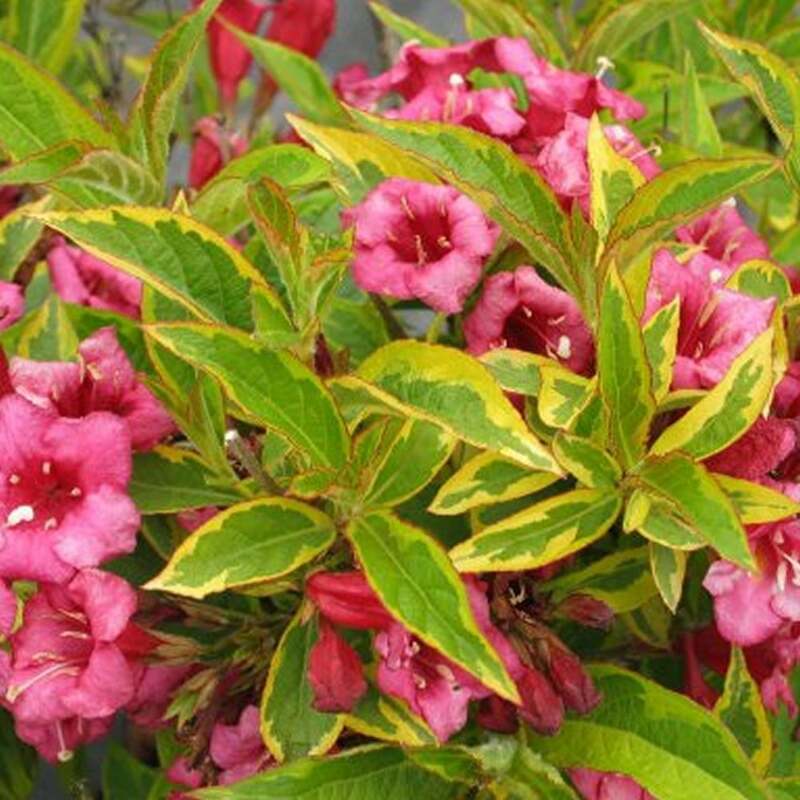 Weigela are excellent compact and rounding deciduous shrubs that grow bushy up to a height of 3 metres. These are easy to grow bushes with a high ornamental value that will transform your garden right away. Florida Moulin Rouge is a beautiful variety of Weigela that features dazzling ruby red flowers contrasting on bright green foliage. These are perfect border plants for any informal or cottage gardens. Also known as the French Lace, Moulin Rouge demand low maintenance and care for growth. These belong to North Chinese origin, blooming clusters of trumpet-shaped ruby-red flowers in spring and summer. These bright flowers are supported with ovate green leaves that are margined with yellow. This extraordinary combination of flowers and foliage creates such a radiance that will turn your garden into an attractive exhibition. Moulin Rouge’s performance of blooms is vastly increased when it is planted in sunny spots. They prefer sunlight but will do well even in partial shade. Plant them in a moist soil that is regularly drained. Add a layer of organic mulch to keep the roots cool. In mid-summer one can see the plant re-blooming occasionally, so you can enjoy a prolonged blooming season. These are hardy plants that will grow tall carefree once established. Prune them to keep their shape and size, cutting back hard overgrown stems that will also encourage new growth. Remove any faded flowers right after the flowering period. Moulin Rouge is a perfect plant for hedging and screening purposes. These medium-sized shrubs will act as great border plants that will attract butterflies and hummingbirds when they bloom profusely in summer.